SALT LAKE CITY (AP) — An avalanche that was caught on video dragged a backcountry skier into a Utah ravine and buried her in snow, but the woman survived because she deployed a special air bag and other skiers were able to quickly dig her out, witnesses said Tuesday. Joe Campanelli just happened to be using his iPhone to record the sun-splayed Wasatch mountains Monday when the skier descended into a steep gully filled with loose snow in Grizzly Gulch, a short distance from the Alta ski area east of Salt Lake City. "That is not a good slope to ski," Campanelli says while recording. Moments later, the slope breaks, and he says, "You're in a slide, bud!" Campanelli abruptly stopped recording to help rescue the skier. His friend, Aaron Rice, told The Associated Press he used an avalanche beacon and a probe to find her location, then shoveled her out with help from others. She was buried in several feet of snow. "She was breathing, talking," Rice said Tuesday. "She said, 'Thank you. I can't believe you got here so quickly.' She was completely shaken up." 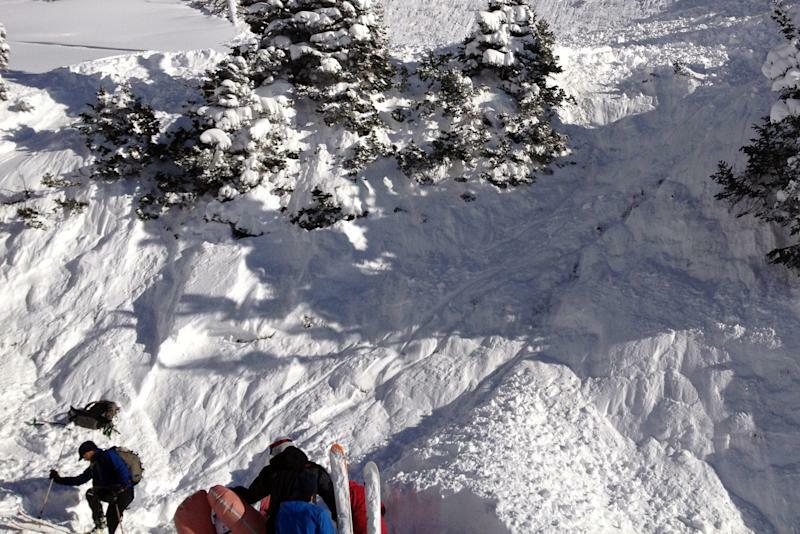 The woman was swept about 100 feet down the gully at an angle approaching 40 degrees, according to a report on the Utah Avalanche Center's website (http://bit.ly/1gWDMq6 ). It happened in an area where ski patrol members don't do any avalanche control, such as triggering slides before they can occur naturally and bury someone. 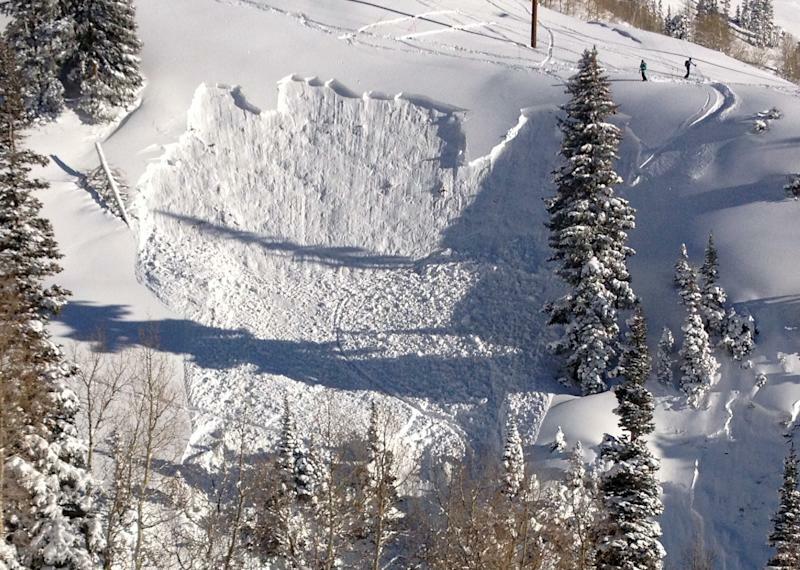 It was the first time this season that a person was rescued from an avalanche in Utah, and the woman is lucky to be alive and uninjured, said Bruce Tremper, director of the Utah Avalanche Center. He said Utah averages about four avalanche fatalities a year. Officials said the terrain was tempting Monday — sparkling, unbroken powder on a glorious day. "It's a scenario we're familiar with: The euphoria of being out in the fresh snow that can cloud your judgment," avalanche forecaster Craig Gordon said. The skier's descent into a gully was so steep and short that her air bag had little time to work at keeping her above roiling snow. Still, it might have kept her from getting buried longer under much deeper snow, officials said. The woman pulled a ripcord on an air bag-equipped backpack — a European-style safety device that is becoming more common in the Rocky Mountain backcountry. The skier didn't immediately return a message relayed by the AP through officials who declined to provide her name or phone number. 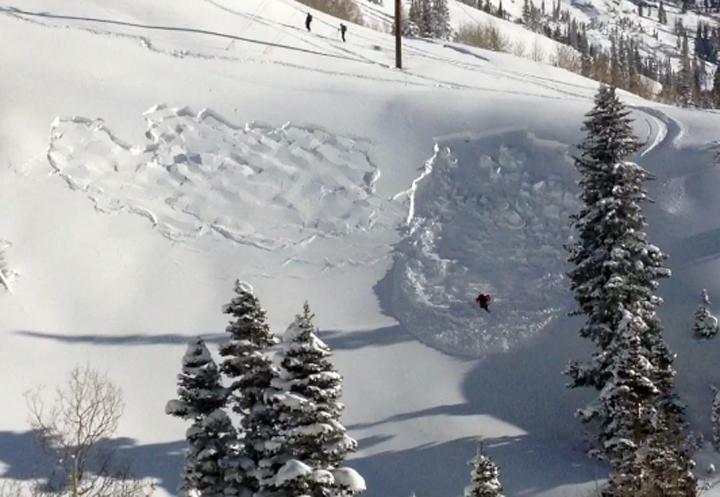 Every winter in Utah about 100 skiers trigger avalanches, 30 get caught in the slides and four die from it, and even for acknowledged experts it's difficult to discern which slopes are safe to ski. "It's a crapshoot — a game of Russian roulette," Tremper said. "People may perceive a slope to be safe, but there are booby traps all around."